The precision and quality of German engineering has given Volkswagen a well-deserved reputation for excellence. When you select a Volkswagen, you're undoubtedly getting a vehicle that's more advanced, more comfortable and more fun to drive than the competition. To illustrate our point, we compared the 2018 Volkswagen Passat against the popular 2018 Chevrolet Malibu. When nothing but the finest sedan in the segment will do, the Passat is the obvious choice. Check out below what makes the 2018 VW Passat so much better than the 2018 Chevy Malibu — then head to our new car specials page to see how much you can save this month on a Passat, or another fine German automobile from Volkswagen. We update our specials each month, so there's always a new way to save! Your money goes farther in the 2018 Volkswagen Passat — literally. 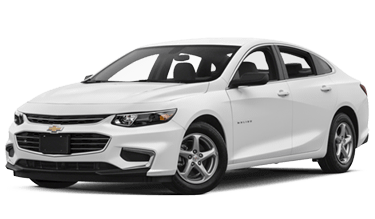 While both the Passat and the 2018 Chevrolet Malibu make up to 36 highway MPG, the Passat can hold more than five additional gallons of fuel. That means you'll make fewer stops for gas, saving you both time and money. Your backseat passengers will appreciate more legroom in the Passat and, for bringing everybody's suitcases and bags, you'll get a larger trunk than you find in the Malibu as well. With all that additional capacity, it's hard to believe the Passat is still better to drive, but it's true! Keep reading to discover why. In their entry-level models, both vehicles in our comparison have efficient, turbocharged four-cylinder engines — but the one in the 2018 Volkswagen Passat is bigger. It makes 14 additional horsepower without compromising fuel efficiency to do so. You can upgrade to a bigger four-cylinder in the 2018 Chevy Malibu and achieve 250 horsepower, but the Passat has an available V6 that puts out 280. It's the biggest, baddest engine available on either of these sedans. And with the well-earned reputation that Volkswagen has for precision engineering, you know the Passat will feel better than the Chevy in the turns. With a more advanced suite of available active safety systems, the 2018 Volkswagen Passat is more ready to protect you and your family than the 2018 Chevy Malibu. You can equip your Passat with autonomous emergency braking, adaptive cruise control and lane assist — all of which you can also have on the Malibu — as well as the Intelligent Crash Response System with Automatic Post Collision Braking, which you can't. These systems can detect a crash and engage your brakes, preventing you from rolling into another hazard, as well as deactivate the fuel pump, turn on your hazard lights and unlock your doors. It's just one more way Volkswagen engineers have thought of everything in the 2018 VW Passat.